In this episode, Tonia Caruso visits 5 Generations Bakers which has revived the Jenny Lee label known so well in Western Pennsylvania for decades. Also, contributor Beth Dolinar visits the Laughlin Children's Center in Sewickley, PA to learn about their work with children across Western Pennsylvania. Finally, contributor Doug Oster takes viewers to a local school district where the students get a first hand lesson in composting at the school's cafeteria. Pittsburgh 360: Sweet Success, Lifetime of Learning & Trash Into Treasure aired on Jan 27, 2011. 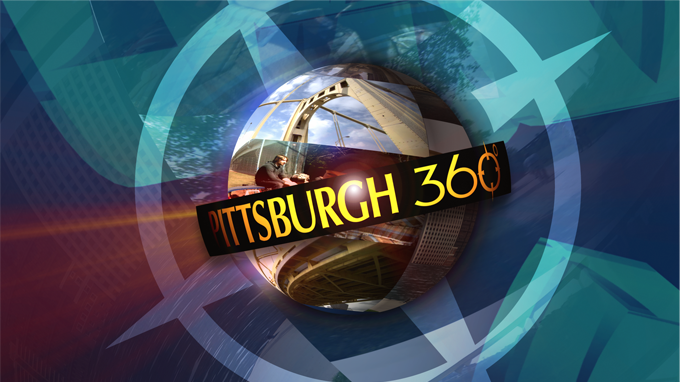 In this episode of Pittsburgh 360, Tonia Caruso takes us on one man's very animated attempt at a world record, we give you a preview of the 2012 One Young World summit, and we find a garden thriving in a most unusual location. WQED, in partnership with Highmark, brings you a series that examines the topic of hunger and food insecurity in Southwestern PA. In this episode, Tonia Caruso gives us a breakdown on the statistics on hunger in our region and find out what local organizations are doing to help those in need. Chris Moore finds out how hunger is affecting the youngest of us and Michael Bartley learns how some are combating the issue through the practice of gleaning. In this episode of PIttsburgh 360, Tonia Caruso takes a look at the positive effects of neighborhood planning, Michael Bartley examines how violence effects the health of a community, and we find out how one organization is transforming neighborhoods one playground at a time. In this episode, viewers see an amazing collection of bicycles stored in a museum on Pittsburgh's North Side. Chris Fennimore goes back to school to meet students from the International Culinary Schools at the Art Institute of Pittsburgh. And viewers get to experience Pittsburgh's newest sport, called Parkour. We’ll look at the impact Marcellus Shale drilling in our region. We find out how one group is addressing the health concerns of drilling in Southwest Pennsylvania then take a look at how a community in Washington County is benefitting from the shale drilling and we show land owners what to do when the land man comes. For more information and to view our other specials, visit our dedicated Managing Marcellus site. You’ll meet a former F.B.I. employee whose experience at the Flight 93 crash site prompted her to write a book. We visit Pittsburgh's Children's Hospital to learn why doctors there are treating children and adults. And we’ll find out about a program that helps children to learn by designing their own video games.